Editor’s Note: We published this story after Pitt spokesperson Joe Miksch confirmed Wednesday that the Oakland Bakery would move into the 7-Eleven location. In an email Thursday, Miksch instead said a grocery story will open in the location. Read the updated article, linked here. 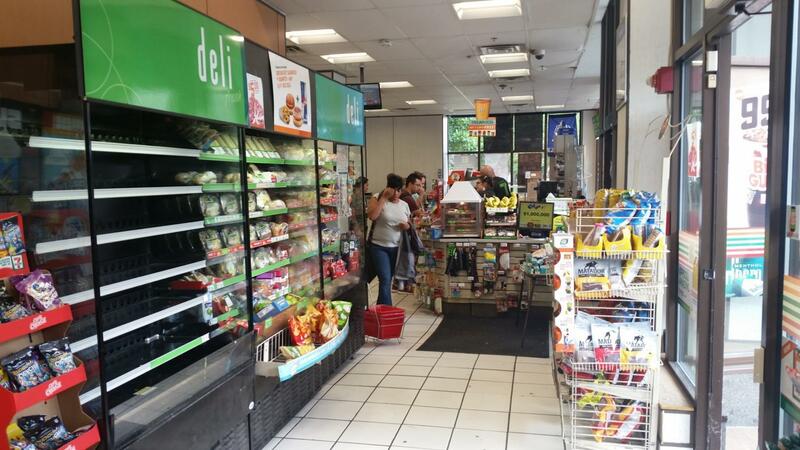 The 7-Eleven convenience store on Forbes Avenue will close by the end of the month, with Pitt’s Oakland Bakery moving into the location at an unknown date. The owner of the 7-Eleven franchise location, Don Young, said Pitt owns the property and 7-Eleven will move out Sept. 29. “We’re leaving because they want to move their bakery shop here. Corporate told us we had to go,” Young said. University spokesperson Joe Miksch confirmed Pitt made 7-Eleven vacate its space so the Oakland Bakery can take over the location. Many students are disappointed and confused as to why the Oakland Bakery will replace 7-Eleven. Shane Taylor, a senior chemical engineering major who frequents the convenience store, is one such student. Miksch did not respond to specific questions about the bakery’s hours or products for the new location. Maggie & Stella’s — a Pitt gift shop located on Oakland Avenue before it closed earlier this summer — will move into the current Oakland Bakery location on Fifth Avenue, according to their website. The current location of Maggie & Stella’s is being outfitted into an Amazon campus pick-up location, according to Joe Eismont, the superintendent for general contractor WR Newman who is overseeing the site’s construction. Anna Tomani, a fifth-year chemical engineering student, said she goes to 7-Eleven at least once a day. With the planned changes, Tomani said her habits will have to change too.